The first University-Industry Cooperative Research Venture, Conecson Co., Ltd has been officially launched at UNIST on January 19th, 2016. The first cooperative research venture, sponsored by Adic Co., Ltd., called Conecson Co., Ltd. has been officially launched at UNIST on Tuesday, January 19th, 2016. Conecson’s new diagnostic system can turn any smartphone into a portable medical diagnostic device. 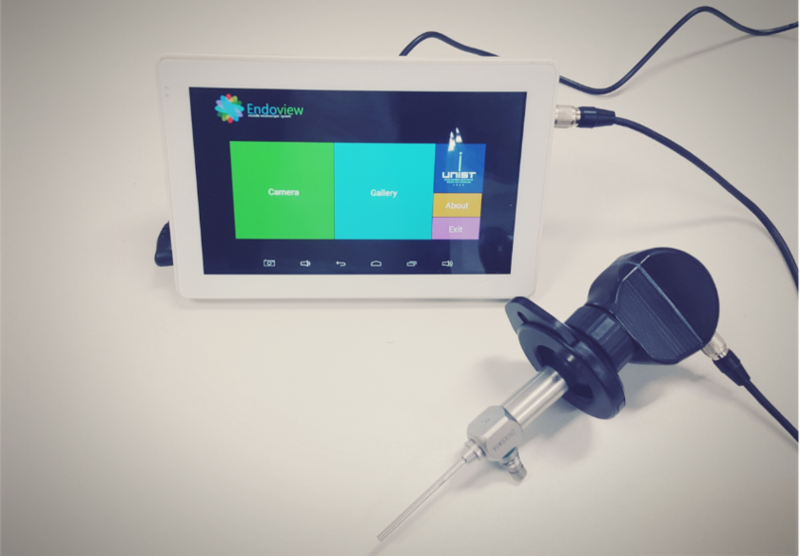 Moreover, when compared to the current endoscopic tools, their mobile device based instruments are 50% cheaper. 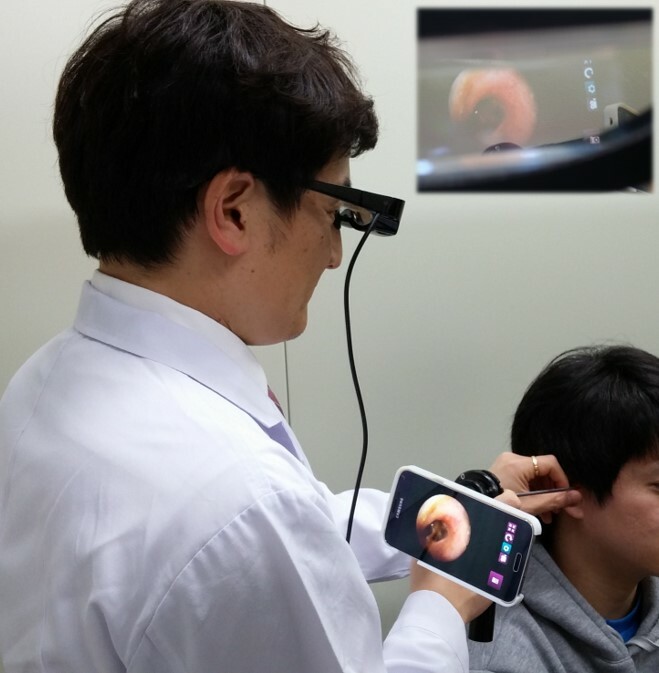 Also, with the recent development of their own Android app for endoscope, the sharing of patient diagnosis information has become more convenient. Soon, it can be used at home, clinical or remote settings, and send you a diagnosis including a suggestion for a medication or a recommendation to see a doctor within minutes. In recognition of this, Conecson has obtained research grants of 1.35 billion won last December from Commercializations Promotion Agency for R&D Outcomes to support the next five years of medical-based R&D. Their devices can substitute for heavy laboratory equipment, saving money to clinics and research institutions. Currently, this device can take blood pressure readings, pulse, temperature, and electrocardiogram. By 2018, they plan to commercialize this to be used in diagnosis of the oxygen saturation levels of ear drums, nasal cavities, heart and lung sounds, and ultrasonic waves. This is going to reduce the costs of high-level healthcare and make it much more accessible.